Perfect Match helped visitors find the most suitable Dog breed for their lifestyle and home. Visitors of the Show were be able to complete a detailed questionnaire on the Breed Selector presented by Bow Wow Meow. The program then compiled all of the information and offered some recommendations on the most suitable breeds for the visitor’s lifestyle. Some of the questions designed to help you find the perfect breed covered areas such as: your location, if you have a backyard and if your property is secured. They touched on the personality types and features you are looking for in your new best friend and how often you can exercise your Pooch. Other considerations like the length of time your Dog would be left alone, if you have small kids and if you have the time to dedicate to training were asked to ensure all aspects of your life are considered before you make the lifelong commitment to your new family member. 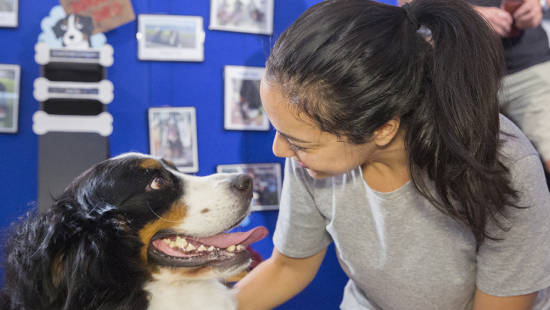 Once visitors were provided with the breed recommendations they then had the option to speak directly to the Breed Clubs exhibiting and actually meet the Dogs at the Show and the people who live with them.